During an age of magic, Mia Baumann is born in a prosperous country where the greatest fear is illness. Ever since her sick mother was wrenched away from her and locked behind the walls of the Sanatorium, Mia fought to get accepted by the prestigious Royal Academy as a Pharmacology student in order to find a cure for her disease. Demon Claw and Angel Tears are the two malevolent diseases that ravaged Isea Kingdom after they conquered the small island nation of Radius. The first is highly infectious and its victims are quarantined; the second drives mages insane. 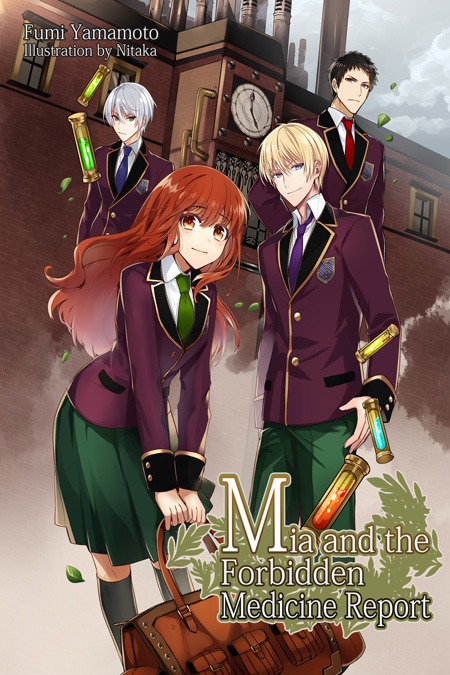 After admission to the academy, the unthinkable happens—Mia forms a cross-department research team with the nobleman law student Felix, the valedictorian medical student Henrik, and the bear-like mage Mathias. However, there are others who will do anything to stop the team from discovering the dark secrets behind these two diseases. Find out if Mia will stand her ground despite bullying, isolation, and magic attacks, to unveil the deeply hidden truth in this mystery shoujo light novel!